The newly installed pro-Western coup “government” of Zoran Zaev and his Soros-backed SDSM cohorts has swiftly moved to cut a serious of external and internal deals that are bound to endanger the country’s existence by next year. For starters, despite denying it all throughout the 2016 campaign, his party is now aggressively trying to push through “bilingualism” in setting the institutional precedent for what logically seems to be the country’s inevitable forthcoming “federalization” (internal partition). Concurrently with this, he also signed a “treaty” with neighboring Bulgaria that essentially makes Macedonia a junior-rank partner susceptible to being swallowed up by its civilizationally similar brethren to the east in the event of a serious domestic crisis, such as the one that could be sparked on command by the country’s “federalization” and de-facto partial absorption into the revived Nazi-era geopolitical project of “Greater Albania”. 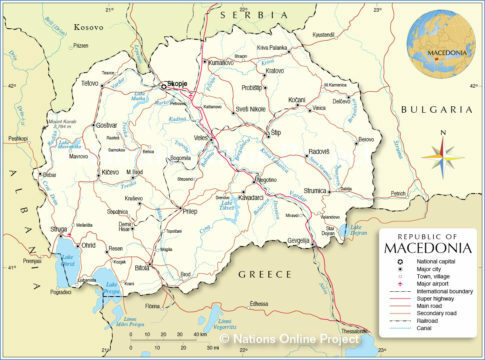 The formal international partition of the Republic of Macedonia between Albania and Bulgaria is what the author predicted back in May 2015 and which was even indirectly responded to by Russian Foreign Minister Sergei Lavrov at the time during the height of the country’s Color Revolution crisis, but this process has since taken on an unofficial form as well if Macedonia is “federalized” into an Albanian western half simultaneously with its eastern one being socio-economically subsumed by Bulgaria, with this latter scenario being facilitated by the Albanian “bilingualism” push and recent “treaty” with Bulgaria. Some Macedonians have keenly picked up on this plot, but that’s why the ruling authorities have sought to imprison patriotic citizens and political figures in order to intimidate the rest of the population into passively allowing this anti-constitutional and even treasonous process of state dismantlement to continue. At the same time as SDSM is locking up its political opponents, it’s also trying to pass through a controversial “amnesty” proposal for freeing convicted criminals, which might even apply to Daesh terrorists who are returning to the country. Despite the “government’s” heavy American-ordered pressure on civil society, the Republika online information outlet was brave enough to write about this appalling dichotomy in pointing out how imprisoned terrorists and free patriots are poised to switch places if Zaev gets what he wants. This alone speaks to the silent “lustration” process that’s being carried out in the country right now to “cleanse” its permanent military, intelligence, and diplomatic bureaucracies (“deep state”), as well as academic, media, and other institutions, of all opposition to the coup-imposed authorities. Interestingly, SDSM is establishing a sort of “dictatorship of the proletariat” in Macedonia, seeing as how the party presents itself as a “leftist-socialist” one, and true to the tradition of this ideological camp, it’s using the cover and slogans of the working class (“proletariat”) to set up an actual dictatorship in the country. Just like it’s usually happened in the past, “leftist-socialist” demagogues are distracting the masses with high-sounding platitudes and crafting a media-acceptable narrative for their external backers to hide behind in “justifying” the seizure of power by an elite group of individuals who are far removed from the actual concerns of the working class. History has a curious way of repeating itself, as the EU is the warped ideological successor of the Soviet Union taken to its most dystopian socio-cultural and dictatorial extremes, so there’s a certain “logic” behind why this faux “leftist-socialist” “government” is so fawning towards Brussels. But unlike during the Soviet period of the Old Cold War when any ideologically aligned country could join the Eastern Bloc, in the “EuroLiberal” era of the New Cold War there are certain bureaucratic obstacles that prevent the free accession of aspirant states to both the EU and NATO, namely – pun intended – the Republic of Macedonia’s constitutional name. 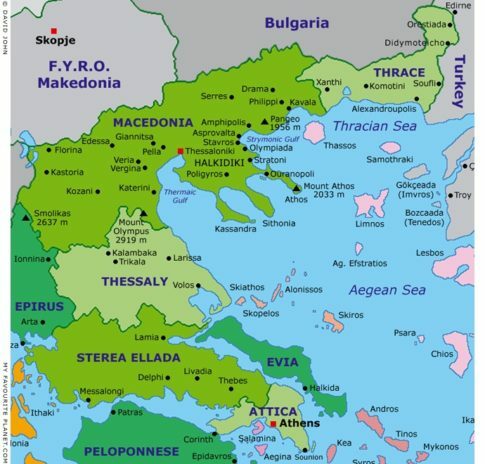 The aforementioned post-modern unipolar structures occupying Western Eurasia are set up in such a way that new admissions must be consensually agreed upon by all existing members, and in this case Greece is adamantly opposed to Macedonia joining either of these two. What might have at one time been viewed as a “curse” in the chaotic international uncertainty immediately following the dissolution of Yugoslavia, this “veto right” has actually turned into a “blessing” because it formally kept Macedonia out of both organizations until the present day. 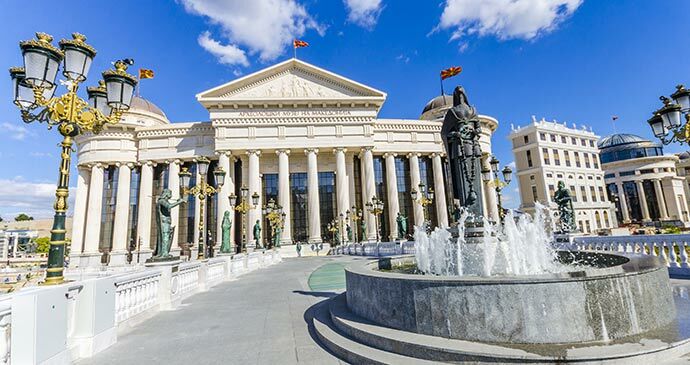 Nevertheless, the US-installed coup “government” of Zaev’s SDSM wants to change that, but the only way that he can do so is if he gets rid of Macedonia’s constitutional name and therefore erases the country from the map. It doesn’t matter if it’s called “New Macedonia”, “Northern Macedonia”, or “The Central Balkan Republic” like has been speculatively reported, or even the author’s own admittedly absurd prediction of the “Federation of Vardar Albania”, but the fact of the matter is that it won’t be the Republic of Macedonia, a name which has taken on a semi-sacred aura as the torchbearer of Macedonian identity across its rich history. The EU Commissioner signaled that he expects Zaev to change Macedonia’s name by next year, which would then allow the country to be fast-tracked into both the EU and NATO and thus formalize its occupation by the Western elite. All of this should rightly enrage any Macedonian, but Zaev and his fellow underlings are unfazed because they don’t have any patriotic affiliation to their homeland. Just like their Soviet predecessors, their loyalty lies with an ideology, not a nation, which is why they’re literally selling Macedonia out to Albania, Bulgaria, and the EU in order to please Greece and therefore fulfill the US’ grand strategic vision of annexing their country to its hegemonic unipolar institutions in order to more effectively disrupt, control, or influence China’s (and possibly Russia’s) Balkan megaproject(s). The final step is to remove Macedonia’s constitutional name and replace it with a “compromise” one, but the run-up to dealing a deathblow to this ancient country is the destruction of the monuments to Macedonia’s civilizational heritage that were built as the flagships of the former VMRO government’s Skopje 2014 project. To add insult to injury, the “Cultural Marxist” erasure of all visible signs of Macedonia’s historical uniqueness will probably be directly supervised by Hoyt Brian Yee, Victoria Nuland’s successor and expected replacement of current US Ambassador to Macedonia Jess Baily. Yee was just as responsible for Macedonia’s coup as Nuland was for Ukraine’s, yet at least the Eastern European country wasn’t totally humiliated to the point of having her officially oversee the destruction of its monuments to Lenin, the founder of Ukraine’s first-ever statehood no matter how “politically incorrect” it is for its ultra-nationalists to ever acknowledge. In Macedonia’s case, however, the Balkan country is being forced to endure the shame of having the man most directly responsible for their coup placed in charge of seeing out the destruction of monuments representing a much older civilizational heritage than just the past 100 years. If the Skopje 2014 monuments, especially the horseman in the city center that’s clearly supposed to be Alexander the Macedonian, are destroyed, then it will probably be impossible to prevent Macedonia’s name change and its subsequently swift annexation into the EU and NATO alongside the state-supported suppression of its people’s culture, history, and civilization. The “government’s” plan to make a mockery of Macedonia’s monuments and disown its very identity could function as an emergency “trigger event” for sparking a “reverse-Color Revolution”, which the author previously analyzed as the creative utilization of Color Revolution techniques by patriotic individuals for multipolar and pro-sovereignty purposes, just like what was attempted in May when concerned citizens unsuccessfully tried to prevent their parliament’s takeover by a former Albanian separatist-terrorist who was designed by Zaev as that body’s “speaker”. If Macedonians don’t band together to stop what is being falsely marketed as an “apolitical and anti-corruption municipal decision”, then it might be inevitable that their country will cease to exist in its present name and possibly even state (per an internal and/or external partition) by next year. If the monuments fall, Macedonia falls, once and for all, which is why the last chance to save Macedonia is to save its monuments. VMRO has the greatest potential to organize legal and peaceful demonstrations in support of this pressingly important issue, but some of the party elite are unfortunately partly compromised due to what can only be postulated is American blackmail pressure against them, be it the threat of physical violence or illegal arrest on fake pretexts (“anti-corruption”, “abuse of power”, etc.) by the coup “government”. As such, a Third Force needs to eventually emerge, possibly growing out of VMRO and the various civil society movements aligned with it, in order to counteract the limitations being imposed on the former ruling party and serve as a bridge for attracting “moderate” SDSM supporters who were misled during the last election. The protection of Macedonia’s monuments – and accordingly its statehood, civilization, and-Balkans: Will Macedonia Be Removed From The Map In 2018? identity – mustn’t be framed as a partisan political issue, which isn’t at all what VMRO is doing but its potentially pivotal role in being the organizational center of such a civil society movement might make it easier for SDSM and its American-Soros backers to manipulate the perception that it is, which is why it’s essential that a Third Force develop in leading the way during this historically crucial moment. 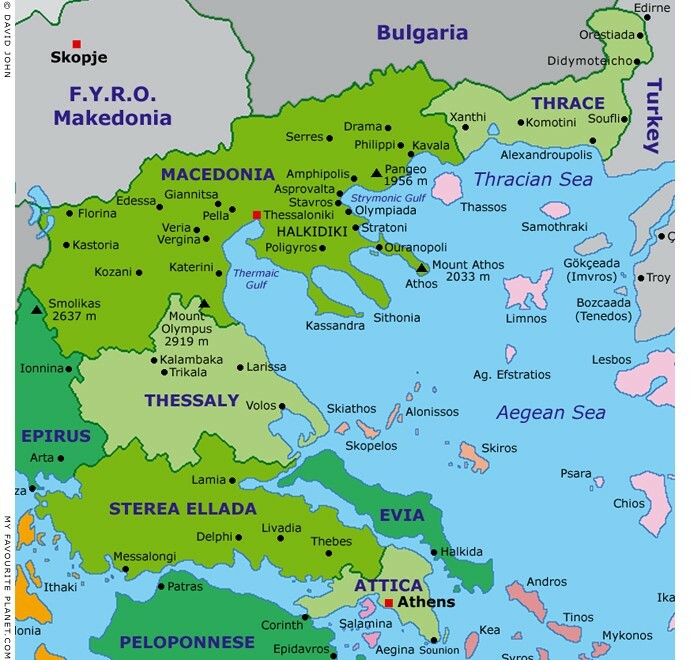 Whatever it’s called and however it’s formed, this Third Force will be the vanguard actor protecting Macedonia from dismantlement, with its members understanding that it’s now or never to safeguard their state because its very existence is incompatible with the EU and NATO’s plans expansionist plans. The Republic of Macedonia is slated to be removed from the map so that its people and territory can be formally annexed to these two unipolar structures under Zaev’s “dictatorship of the proletariat”, and all indications point to 2018 being the make-or-break year where Macedonia’s patriots will either prevail or the country itself will perish.